Western Specialty Contractors is proud to announce that in 2016 it achieved its lowest OSHA Total Recordable Rate in the company’s more than 100-year history. Western finished the year with a rating of 1.95; surpassing its previous best rating of 2.73 in 2014. The OSHA Recordable Rate is based on injury and illness rates per 100 workers and is used to evaluate a company’s safety measures. This number is used by the Bureau of Labor Statistics to determine the rate of accidents and illnesses by categories, such as industry, company size and region. Western’s 1.95 rating is a lofty achievement in safety considering that its line of work often requires employees to work hundreds of feet in the air on suspended scaffolds, underground in crumbling parking garages and perched atop precarious roofs, structures and monuments. Not to mention working daily with hand and power tools, lifting and carrying heavy materials, working in confined spaces and encountering a variety of environmental exposures. An industry leader in workplace safety, Western has evolved its safety programs over the decades from the basic compliance initiatives to advanced programs that address ergonomic and soft tissue injuries. Western has also initiated a climate for safety that empowers employees to proactively take steps to evaluate their own job site activities and correct procedures to prevent accidents. Implementation of an “outside medical direction” which allows individuals to diagnose occupational injuries over the phone or via Skype or FaceTime. A new policy that requires all employees on a job site to wear gloves at all times, except under specific circumstances. A new employee mentor program where new employees are set up with a lead craftsman or foreman for their first six months to learn the trade. After that, new employees are evaluated on their trade skill development and safety knowledge. A focus on ergonomics or body mechanics where carts, dollies and forklifts are utilized to minimize soft tissue injuries. A policy that requires all employees who have worked more than 700 hours to complete an OSHA 10-hour course. 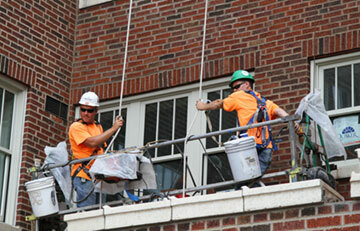 Additionally, foremen are required to complete 30 hours of OSHA training and are also certified in CPR/First Aid/AED.